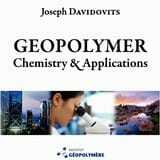 Book: Geopolymer Chemistry and Applications, 4th ed. It is a textbook, a reference book instead of being a collection of scientific papers. Each chapter is followed by a bibliography of the relevant published literature including 75 patents, 120 tables, 360 figures, 550 references, 700 authors cited, representing the most up to date contributions of the scientific community. The industrial applications of geopolymers with engineering procedures and design of processes are also covered in this book. The discovery of a new class of inorganic materials, geopolymer resins, binders, cements and concretes, resulted in wide scientific interest and kaleidoscopic development of applications. From the first industrial research efforts in 1972 at the Cordi-Géopolymère private research laboratory, Saint-Quentin, France, until the end of 2007, hundreds of papers and patents were published dealing with geopolymer science and technology. Although review articles and conference proceedings cover various aspects of the science and application of geopolymers, a researcher or engineer is still at a loss to readily obtain specific information about geopolymers and their use. It is this void that we hope to fill with this book. 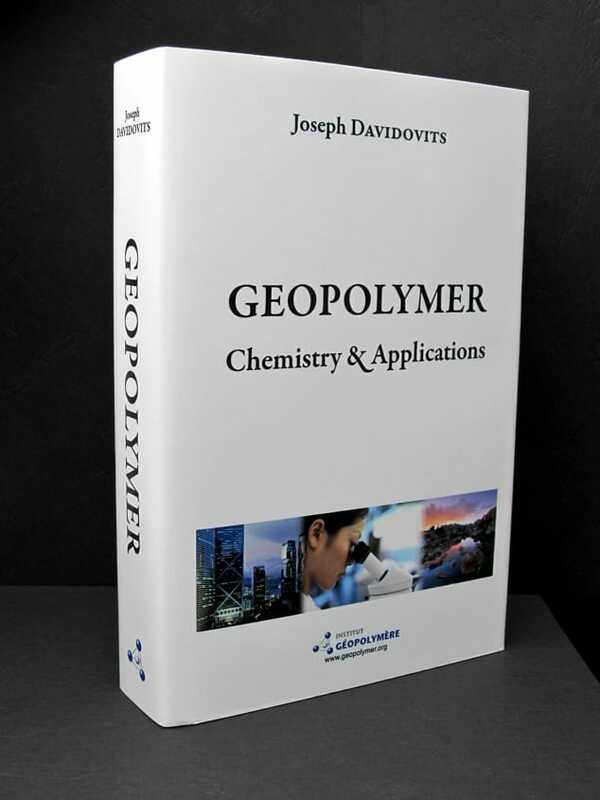 There are two main purposes in preparing this book: it is an introduction to the subject of geopolymers for the newcomer to the field, for students, and a reference for additional information. Background details on structure, properties, characterization, synthesis, chemistry applications are included. There are many examples in geopolymer science where an issued patent is either a primary reference or the only source of essential technical information. Excerpts from the more important patents are included in some chapters. The industrial applications of geopolymers with engineering procedures and design of processes is also covered in this book. Hard-cover book, high quality printing, light cream color paper. (1.3 MB in PDF format). 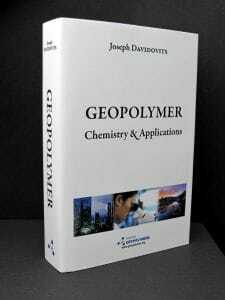 The GeopolymerCamp is the opportunity to prepare the new edition of the book Geopolymer Chemistry & Applications. Indeed, the Geopolymer Institute wishes to publish every year a new revised edition with the most up to date information. During this session, participants will propose subjects or issues that are worthwhile to be edited or added, and the assembly will discuss about it. Prepare your arguments if you want to see your last research, data, applications be added to this reference book.